In an overcrowded marketplace getting your brand to stand-out can be the main factor that puts you ahead of the competition. When you intentionally design your business to stand-out, your products and services gain more attention and sales, you enjoy the loyalty of existing customers and gain the attention of news ones. Understand your brand values – what do you hold close to your heart, or what rattles your cage? What are your strengths, what are you good and what do you believe in. Is it a great customer service, friendly person to deal with or a detailed understanding of marketing. All of these make up your brand personality and set the tone for your communication and marketing activities. Your values must align with what you do to be successful. Engage with your clients – understand their problems and pain points. Look at it from their point of view, they probably don’t care if you sell 12 different widgets they just want one that does the job and fixes their problem. Target your sales message at providing a solution to their biggest headache and show how will your product or service will provide an answer. Think benefits not features. 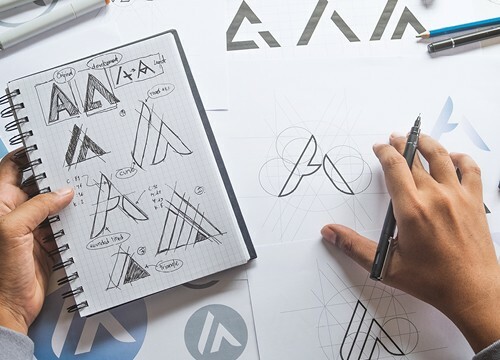 A well designed logo – will show that you’re serious. Raise your profile as a true professional and show others that you mean business. Don’t forget all your customer touch points, show a consistent design and message on your website, stationery, signage and email signatures. Consistent branding will reassure clients that they are speaking to the right company and that you’ll be able to answer their questions. Give consistently excellent customer service – people want to feel that you care, you’re on their side. Listen to what they want, put yourself in their shoes for a moment and work from a point of collaboration. Your brand is your promise to your customer, if you say you’ll send the report by Friday, then send it Friday. Get Internal buy in – share your values and vision with your staff and associates. Create a mission statement and share it with your team so that everyone is clear on the company values, follows the same proceed and gives the same message. Meet outside of work and have some fun with a team building event to get to know your staff better and vice versa. And to help you design a stand out business, Somer Design are on hand to guide you through the branding process, call 020 7112 9068 or email Caroline on studio@somerdesign.co.uk to kick start your brand.